Market volatility, security of supply, environmental risk and regional politics are just some of the variables affecting the international oil and gas industry. At the same time, there is now a wider international focus on developing unconventional reserves, such as oil sands, coal bed methane and shale. These factors, among others, require a level of experience and expertise in energy transactions which far exceed those traditionally required in the oil and gas industry. To succeed you need a legal advisor who not only understands but actually drives complex oil and gas transactions to a successful conclusion. You need a legal advisor who understands not only the challenges but also your business and your business objectives, who can give you the hard-won knowledge and experience to deal successfully with opportunities and challenges in the ever-evolving oil and gas industry. At Dentons, you get that knowledge and experience and a team of industry experts who also understand the real risk and safety issues. Our lawyers can help you focus on success by advising on managing risks and liability and dealing with the evolving technologies required to realize the full benefit of the new frontiers for exploration and development. Whether you're in the Americas, Europe, the Middle East, the Commonwealth of Independent States, Asia Pacific or Africa, we provide a platform for your success. Borders and Southern: Advising on its drilling campaign in the Falklands. China National Petroleum Corporation: Advising on and participating in negotiations with the National Oil Company KazMunayGas and its subsidiary in relation to the acquisition of a 8.33% interest in the giant Kashagan oil field (North Caspian), involving three back-to-back transactions, for an amount in excess of US $5 billion. China National Oil and Gas Exploration Development Company (CNODC): Advising on the sale of 40% of the shares in its subsidiary company, CNPC Kazakhstan, with a value of over US$2 billion. Cub Energy Inc.: Advising a Canadian TSXV-listed company focusing on the exploration and development of oil and gas reserves in Eastern Europe, formerly known as 3P International Energy Corporation, on the acquisition of JSC Tysagaz, a Ukrainian oil and gas company with production and exploration licenses in Western Ukraine. With this acquisition the client expanded its operations in Ukraine. Dubai-based energy company: Advising on the acquisition of the majority stake in a Turkish energy generation company, which will develop a 800 megawatt combined cycle natural gas power plant in Kirikkale, Turkey. Enbridge Inc.: Advising on its agreement to transfer its Canadian liquids pipelines business, held by Enbridge Pipelines Inc. and Enbridge Pipelines Athabasca Inc., and certain Canadian renewable energy assets to a subsidiary of Enbridge Income Fund for consideration, including assumption of debt, valued at CA$30.4 billion; and with respect to its CA$538 million acquisition of Tupper Main and Tupper West gas plants and associated sales gas pipelines in northeastern BC from the Canadian subsidiary of Murphy Oil Corporation, and associated long term Midstream Services Agreement for processing and transportation of Murphy's produced gas. FourQuest Energy, Inc.: Advising the Canadian company on the sale of its business and assets in the Middle East, North Africa and Central Asia, to Actuant Corporation, a US listed industrial company for approximately US $60 million. FourQuest Energy Inc. will continue as an on-going concern in Canada. FourQuest Energy’s business includes the full range of industrial services and equipment from engineering, chemical cleaning, hydro-testing, oil flushing, air / steam blowing, nitrogen / helium leak testing services and full pipeline pre-commissioning services. The acquisition of FourQuest’s business in the MENA and Caspian region complements Actuant's existing offering, through its subsidiary Hydratight, enhancing its position as a leader of maintenance services in the energy market. GeoPark Holdings Ltd: Advising an AIM-list oil company operating in Latin America, in negotiating a $140 million investment by LG International (in two tranches), representing the first Korean investment in the oil industry in Chile. Leading Gulf-based energy company: Advising on the US$600 million syndicated project financing package arranged by the EBRD. The syndication of lenders included EBRD, IFC, Korea Exim Bank, Standard Chartered Bank, Korea Development Bank and Banque Saudi Fransi and provided a comprehensive long-term financing for the development and construction of a US$1 billion combined-cycle gas turbine power plant in Kırıkkale, Turkey. The security package for the facility is more than US$1 billion. Lufkin Ind: Advising the Texas-based integrated oilfield equipment producer and services provider to close a major real estate acquisition in Ploiesti, the center of Romania’s oil industry. Also advising on obtaining state aid incentives worth €28.1 million in order to develop a greenfield manufacturing plant in Ploiesti, the company's first facility in Eastern Europe as well as on leasing prime office space for its Eastern Hemisphere regional hub in Romania. Lukoil: Africa is one of the world's most exciting emerging markets. We have a presence in 21 African countries as well as dedicated Africa energy lawyers based outside of the continent. This formula has delivered a track record of success right across Africa. As a result of this track record in Africa Dentons was instructed by Lukoil Overseas (Lukoil) to advise on various prospective upstream and corporate transactions in West and Central Africa. Dentons worked closely with its associate offices to provide jurisdiction specific advice in order to assist Lukoil with its strategically important African investment opportunities. ONGC Videsh: East Africa has drawn significant attention from the global oil and gas sector as a result of recent announcements made on large volume gas fields off the coast of Tanzania, Mozambique and Kenya. Amidst these discoveries, Cove Energy plc (Cove Energy), an AIM-traded public company with a stake in a large gas field in offshore Mozambique, put itself up for sale by way of a competitive auction process in January 2012. The sale attracted great interest from potential bidders, including a consortium led by ONGC Videsh Limited (OVL). As a result of its proven track record in the oil and gas sector and M&A experience in Mozambique, SNR Denton was picked to advise OVL on its participation in the Cove Energy sale process. 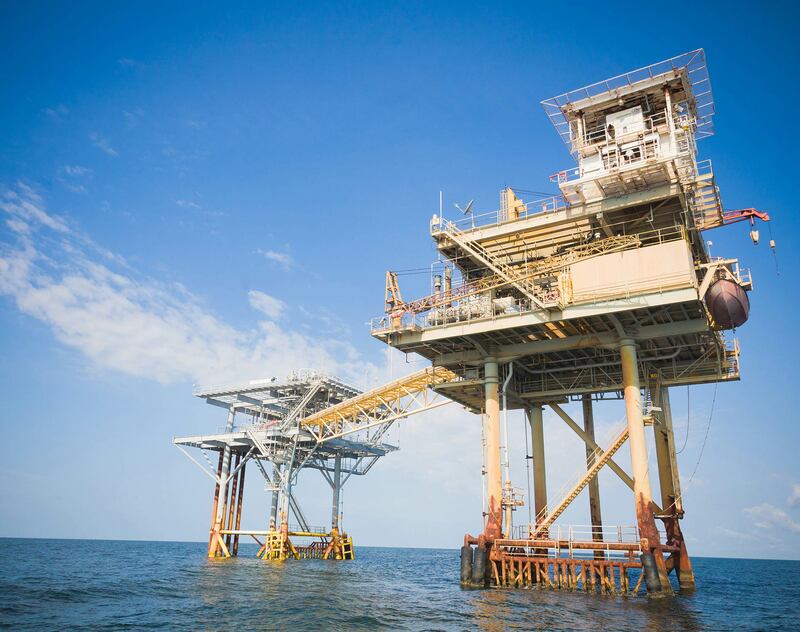 Dentons was responsible for conducting the Phase I legal due diligence into Cove Energy's Mozambique, Kenyan and Tanzanian assets, identifying the key concerns for OVL as a potential bidder in a takeover of Cove Energy. Working closely together with its associate offices in Mozambique and Kenya, Dentons advised on issues including local regulatory law, competition law, contractual provisions under joint operating agreements, exploration and production concession contracts, farm-out agreements and corporate law. Operator of a major offshore oil and gas project: Advising on one of the largest production sharing agreements in Azerbaijan during the years following independence, advising on amendments thereto, as well as drafting the text of a law giving legal force to the amendments. Petro Rabigh, Saudi Arabia: Advised Sumitomo Chemical on its investment in the expansion of the refining and petrochemical complex owned and operated by Rabigh Refining & Petrochemical Company (Petro Rabigh). Sumitomo Chemical is a founding shareholder of Petro Rabigh, together with Saudi Aramco. The expansion project reached financial close on 16 March 2015 and the total project cost is estimated at US$8 billion. PETRONAS: Advised on its acquisition of Statoil's 15.5% interest in the Shah Deniz gas field and associated pipelines off shore Azerbaijan. Shah Deniz is one of the largest gas projects in the world, paving the way for Caspian gas to be delivered directly to European markets for the first time through pipelines across Turkey, Greece and Albania into Italy, reducing Europe's dependence on Russian gas. This major transaction was signed in a short period of time due to Petronas' focused in-house legal and commercial teams. The deal represents one of Petronas' largest acquisition deals. RWE Dea have been developing this asset ever since, and as a full service energy law firm, Dentons have assisted this development at every turn by deploying experts across a variety of sectors ranging from oil and gas lawyers to procurement specialists, liaising with our professionals on the ground in Central Asia to offer an unrivalled combination of both industry expertise and local knowledge. RWE Dea are now looking to monetise their asset, and the drilling of one exploration well is planned for 2013. As a result, RWE Dea once again decided to contact Dentons' market leading Oil and Gas team. Drilling rigs are in short supply the world over, and are becoming more expensive by the day. However with RWE Dea’s vision and the expertise and industry knowledge of Dentons, we are advising on a rig sharing agreement and drilling contracts that will provide RWE Dea with the most efficient and cost effective access to drilling assets. Minimising risk and maximising value. Texakoma: Advised one of the largest producers of coalbed methane gas in New Mexico in connection with the sale of its reserves (172 BCF gross/75 BCF net) in San Juan and Rio Arriba Counties, New Mexico, to Pogo Producing Company, including counseling the client on related tax planning and corporate strategy. Total, SA: Advising on the acquisition of ExxonMobil's downstream assets in 14 African countries (Chad, Djibouti, Eritrea, Ethiopia, Ghana, Guinea (Conakry), Liberia, Malawi, Mauritius, Mozambique, Sierra Leone, Togo, Zambia and Zimbabwe) and on the disposal of Total’s downstream assets in the UK including drafting and negotiating various supply contracts, storage contracts and throughput agreements for various petroleum products (gasoil, gasoline, diesel, burning kerosene, additives, flogas and excellium). Dentons is pleased to announce that Anthony Cole, partner in our Fraud, Corruption and Asset Recovery Group, is being honoured with a Canadian Association of Petroleum Producers (CAPP) 2015 Committee Recognition Award.